Evan began writing music as a church worship leader in high school and expanded to arranging wind chamber music and choral works during college. He studied music theory with Timothy Jackson and Gene Cho at the University of North Texas and instrumental arranging with Roland Barrett at the University of Oklahoma. He has composed original works for wind band, horn ensemble, and choir, and has done a wide variety of transcriptions and arrangements. 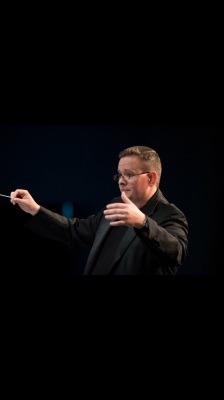 His work has been performed by the Hummingbird Camp Advanced Band and by student groups at the University of Oklahoma, Oklahoma Baptist University and the University of Central Oklahoma. He has done instrumental worship music arrangements for churches in Oklahoma City and Dallas. Dr. Chancellor is the Editor and sole proprietor of Solitárius Press and is a member of the American Society of Composers, Authors and Publishers (ASCAP). Below is a list of selected works listed by genre.